1. Bring water or vegetable broth to a boil over high heat in a medium-sized pot. Once boiling, add quinoa. Reduce the heat to low, cover and simmer until all of the liquid is absorbed, about 15-20 minutes. Keep covered for an additional 5 minutes to steam. Set aside. 2. Meanwhile, In a large pot over medium heat, heat the oil. Once hot, add the onion and saute until softened, around 5 minutes. Add the garlic, ginger and chile flakes. Stir for one more minute, making sure nothing burns. 3. Add 1 cup of the coconut milk and increase the heat to high. 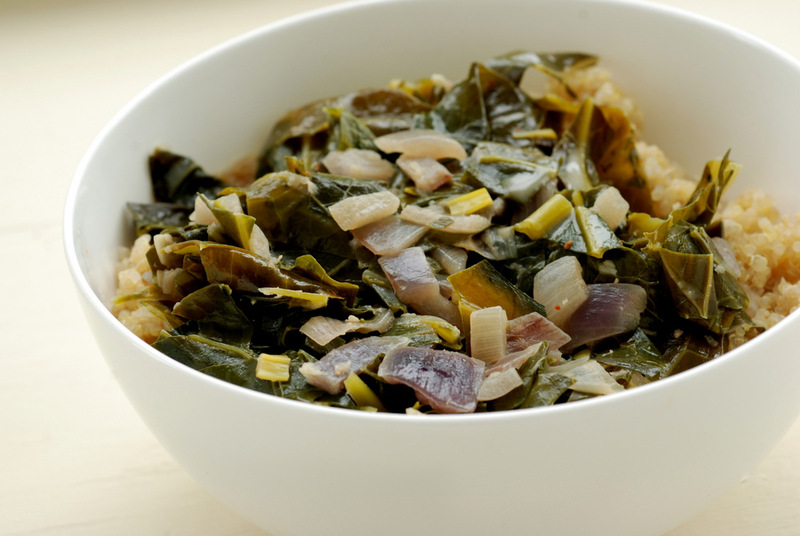 Once boiling, add the collard greens in batches, allowing it to wilt down slightly. 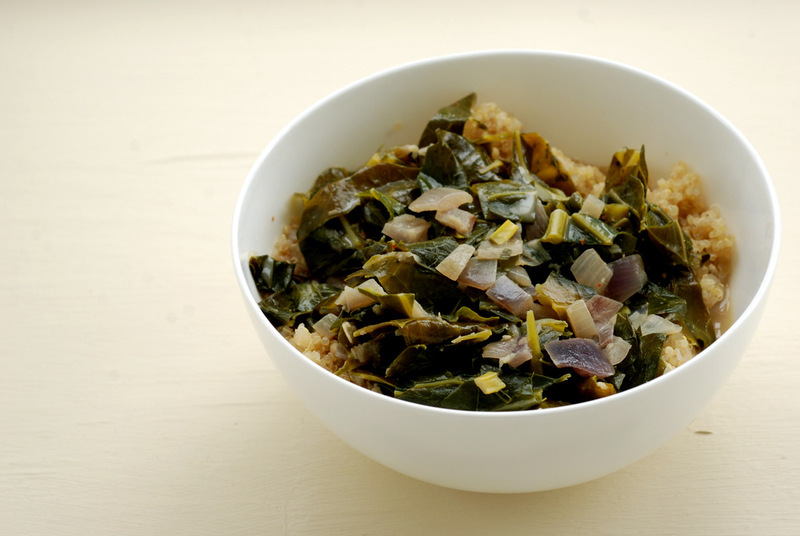 Once all the collards have been added, add the remainder of the coconut milk, cover and reduce the heat to low. Allow to simmer for 25 minutes, until the greens are very tender. 4. 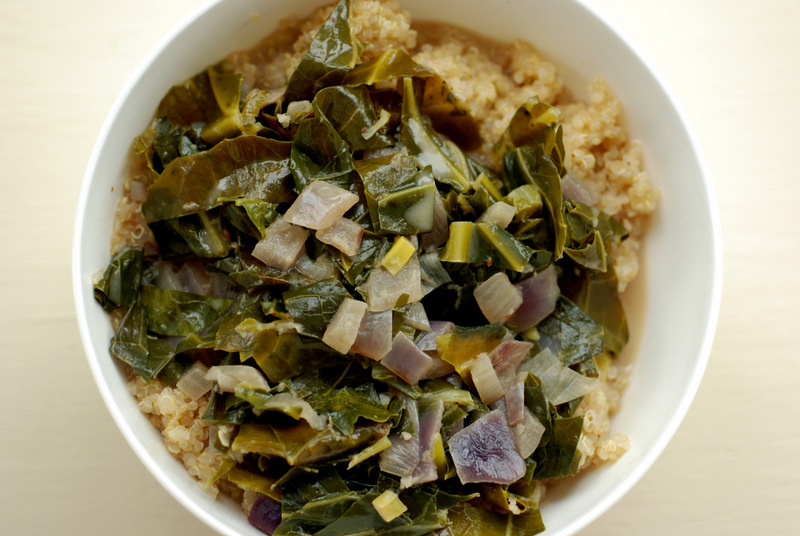 To serve, plate the quinoa and scoop collards and the sauce overtop. Stir and dig in! What an interesting and original recipe for using a favorite recipe! 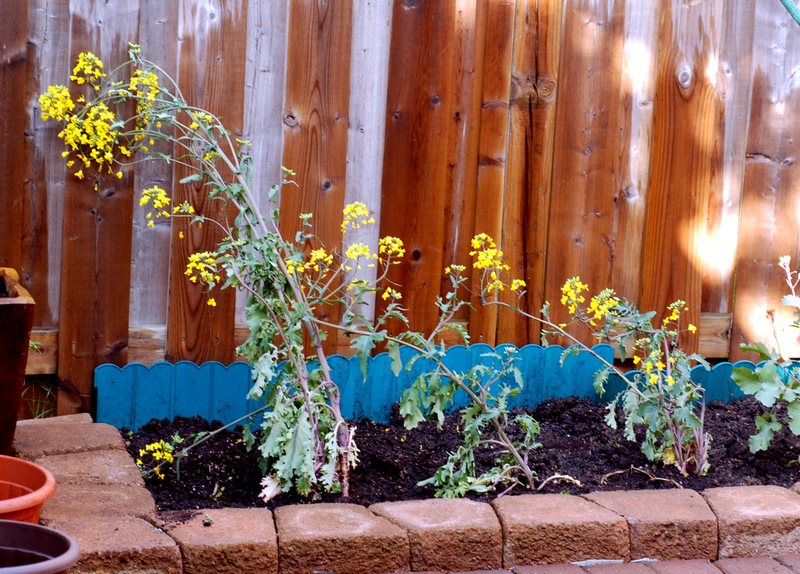 You encourage me to clear a space in my garden to plant the veggies I love most. This is like a triple dose of health, this recipe. Yum. I’ve been swooning over Cara’s coconut kale but I think I’d love this version as a main dish even more! 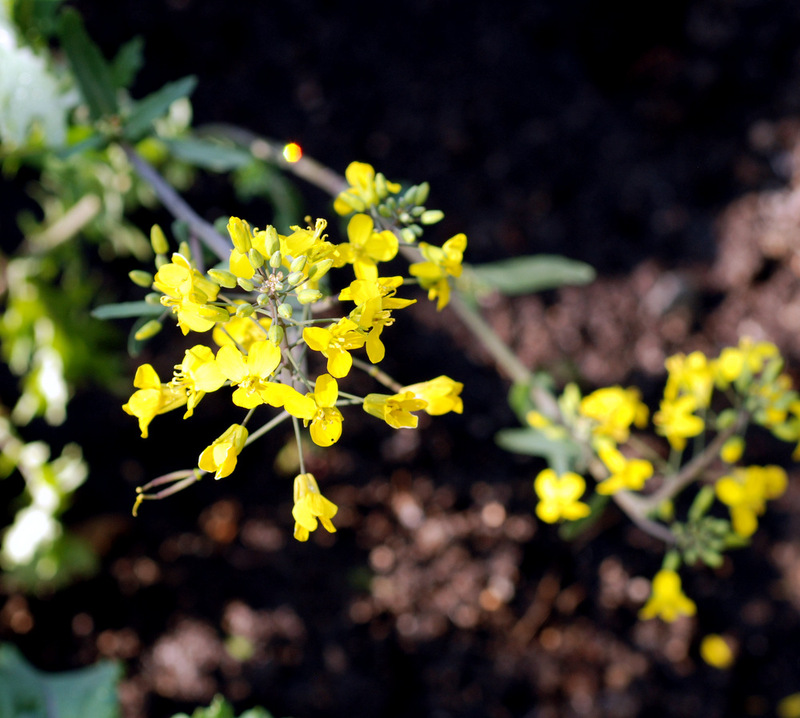 I’ve only ever seen flowering broccoli rabe but I bet the kale flowers are just as delicious!